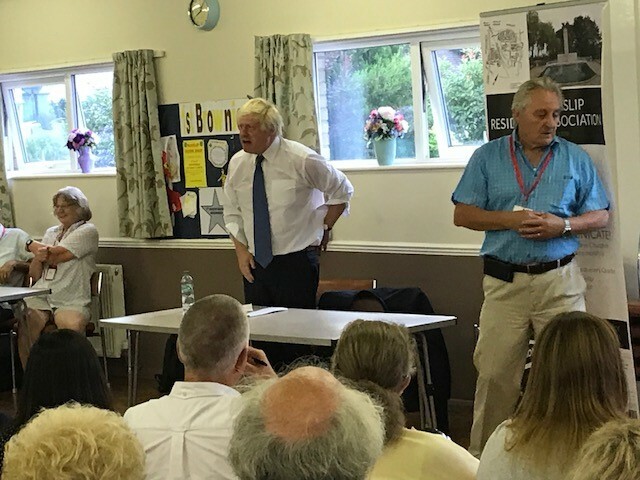 As you will see from our last minutes Boris Johnson discussed mostly Brexit and his take on local and mayoral issues. SRRA Vice Chair Sid Jackson was today honoured to carry the RAF Centenary baton, heading for Horse Guards Parade tomorrow from RAF Northolt to the Polish War Memorial, where the baton was handed over to the station commander of RAF Northolt. The baton was made to commemorate 100 years of the RAF. Setting off on April 1st and having travelled to RAF bases around the world, the baton left the last RAF base at Northolt carried by Sid today. Sid is a veteran of the RAF who has both worked at RAF Northolt and now lives locally in South Ruislip. Update from Sqn Ldr Tenniswood at RAF Northolt on the Fly Past. Scheduled for 1pm tomorrow! 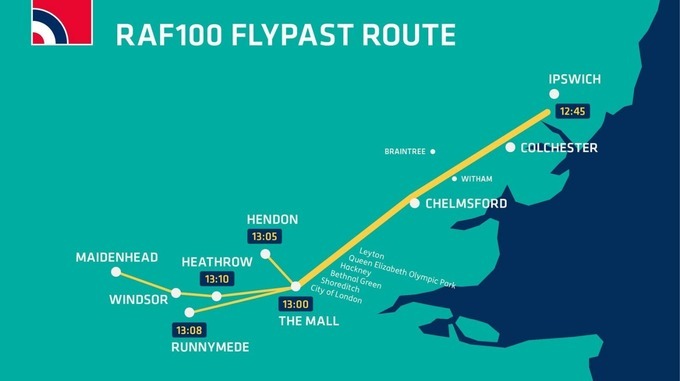 Now that I have firm finalized information, I thought you would pass on the routes for the RAF 100 flypast which is planned for Tuesday 10 July as 1300. The flypast will enter London from the east, fly along The Mall, then split up into 9 packets of aircraft which will exit London over Hendon, Heathrow and the South West of London. In London, the best place to be the entire flypast will be at The Mall, or just behind Buckingham Palace, somewhere like Eaton Square Gardens. If you want to see the aircraft that will exit over Hillingdon, the best, and only view will be just North of Heathrow; Harlington, Sipson and Harmondsworth areas. Aircraft from the flypast may be visible along the lower border with Ealing and the M4, and along the eastern edge of Harrow, east of the A5. Unfortunately the aircraft will not exit over RAF Northolt or its surrounds. This is because unlike the Queen’s Birthday Flypast, which is much smaller and usually flies out over RAF Northolt in order to avoid Heathrow airspace, this flypast, with up to 100 aircraft, will see Heathrow’s airspace closed and cleared; thus nearly all the traffic will travel out over Heathrow and to the south of Heathrow. We will put out any updates on the RAF Northolt Twitter and Facebook channels. Of course the Flypast, and the parade, will be broadcast on BBC One on the day. If you have any questions please don’t hesitate to get in touch with me. 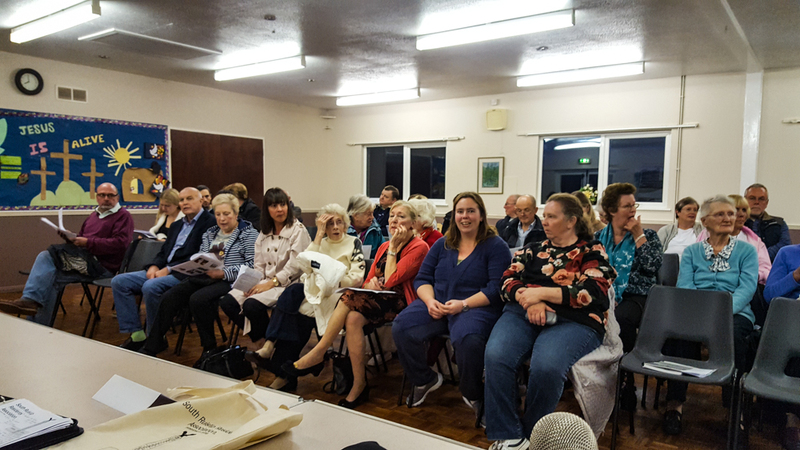 Public Quarterly Meeting Held at St Mary’s Church Hall, The Fairway, On Wednesday 24th January 2018 8pm. Vice Chairman Sid Jackson chaired and opened the meeting at 8pm in the Vice Chair’s absence. Sid welcomed everyone to the meeting. 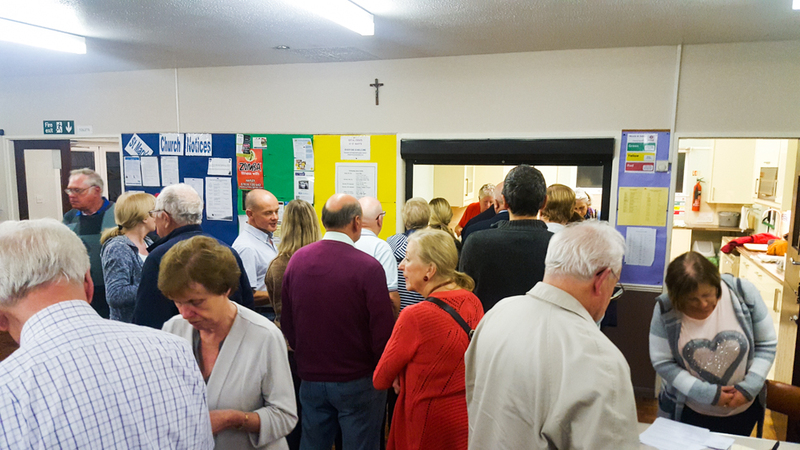 In attendance were 60 residents and 8 committee members. Councillors present Cllrs Barnes, Kauffman and Lavery. Sid said he had received a letter from St Mary’s stating someone ‘representing the SRRA’ had been at a St Mary’s supported meeting and had made prejudiced offensive remarks. Sid stated categorically that the SRRA was welcoming to all and any remarks contrary to this could not be and would not be tolerated. Any such comments are the responsibility of the individual and do not reflect the views of the SRRA committee, officers or members. 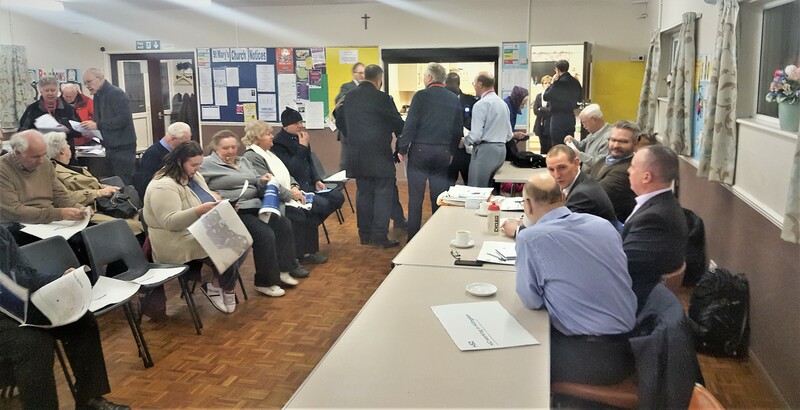 Apologies were received from: Kate Fennel, Colin & Hazel Hook, Frances Jones, Geoff Quantock, Jagjit Sohal, Cllr Kelly and Duducu, Margaret and Alec Wallis. PC Solanki spoke at the meeting and initially listed crimes in the area, in the last three months. 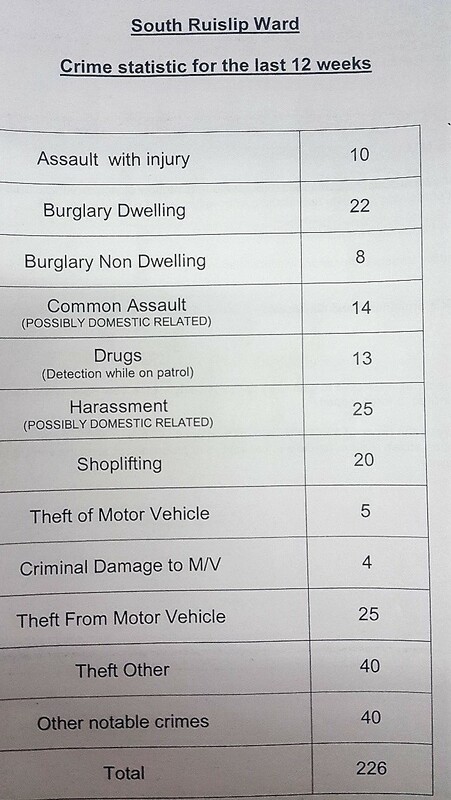 Assault with injury 8, common assault 1, shoplifting 33, theft of motor 13 damage to others 9 and other crimes 21. He warned home owners to keep UPVC doors double locked without keys in them. Keep vigilant for burglary and take sensible precautions. Pc Solanki discussed the tri-borough initiative. This involves the Hillingdon Borough merging with Hounslow & Ealing. Ward officers may be shifted depending on operational requirements. In response to a question PC Solanki confirmed shop lifting is not being investigated on the ward where below a minimal value. Such cases are passed to a high volume department. The reason for this is the low return on the time spent for the police. 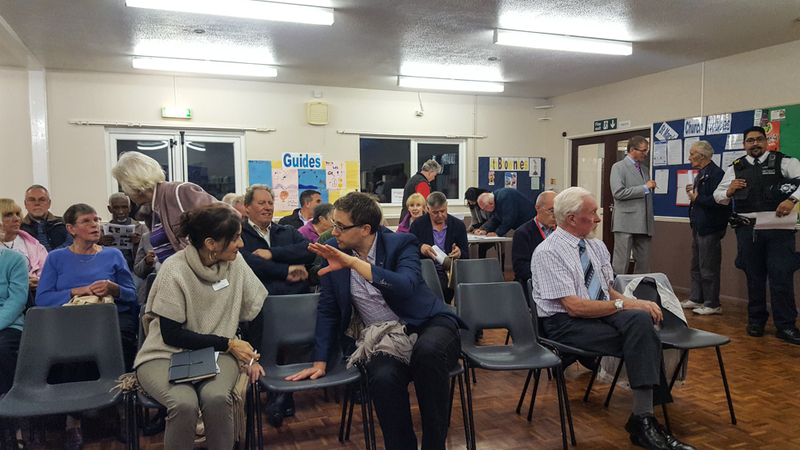 Discussed people turning right into West Mead up Victoria Road toward Ruislip. A concern. A review is planned of the signs and the rest of the junction. 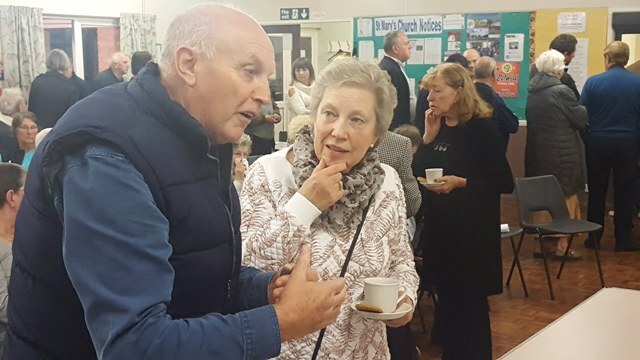 Drop in surgery information to be confirmed, but will take place regularly at the South Ruislip Library and have a Cuppa with a Copper at The Rumbling Tum. 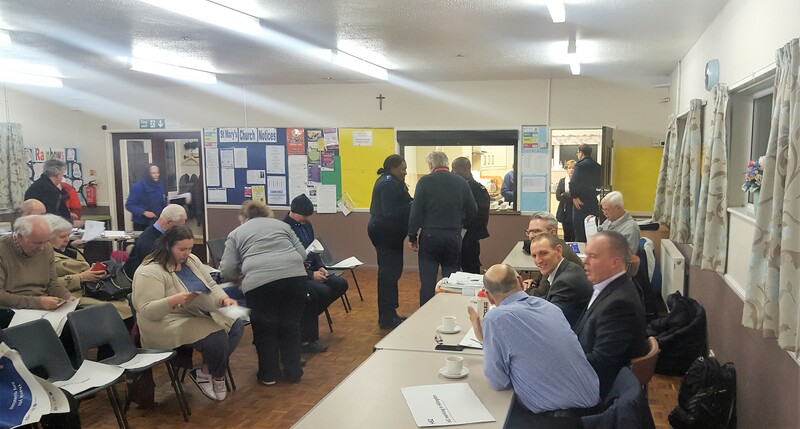 Secondly Ward Panel is made up of members of the community and in addition the police are setting up a virtual ward panel to reach a wider section of the community. They are seeking the names and addresses etc of people willing to join. Three or four time a year e-volunteers will be sent an email questionnaire on policing priorities locally. To join write to SouthRuislip.snt@met.police.uk email address. They will also to add you to the newsletter distribution. Doing weapon sweeps in parks locally. Happy for the SRRA to join. Henry Neal thanked residents for their patience and support. The store opens tomorrow 8am. Employed 45 people, clear majority locally. Re Landscaping – they are still planning on planting trees and hedgerows. Not done yet, utilities in the area need to be moved and then the landscaping will be completed. Still some highway works to come about. Highway entrance off Victoria Road. All need to work on that together (council, utilities and Lidl) and placement of the island on Stonefield Road. Apologies for disturbance of the lights locally. These had been left on by contractors and they will go off when the shop is shut at night. A contractor blocked the entrance causing traffic problems. Apologies. The store is designed with energy efficiency in mind. Opens from 8am to 10pm. Concern expressed re exiting the road onto Victoria Road. After Road Stewards to deliver newsletters and collect subs for Palace Road and Diamond Road. Hardy Avenue (28 properties) and Glebe and Weldon Av. £1064.41 and in the deposit account £12,367.46. Field End School. Part of the ward budget to be spent on the clock at the school being redeveloped. Going to restore it back to original feature. School pleased. Redevelop their library, to make reading attractive to pupils. 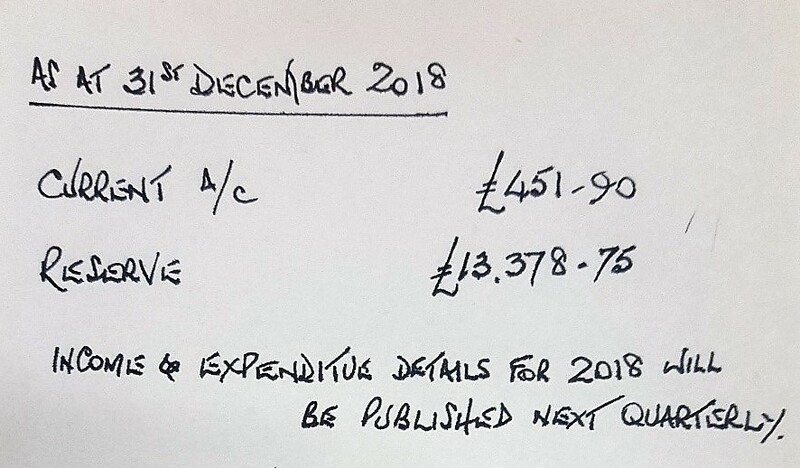 The school applied for Chrysalis fund money and they were offered this. Whitby Road has a mobile CCTV camera. Looking to prosecute fly tippers. Resurfacing work. Hunters Hill, Oxford Drive, St Andrews, Essex Close, Queens Walk and Mount Pleasant. Don’t condone protests at Harefield as concern to safety. Breakspear Road South will do enabling work. Will be one way traffic. Feb and March 2018. Work in South Ruislip likely 2019. Are Carillion the constructors? Yes, but there are many sub-contractors who simply be gone directly to. Council aware there is a problem. But the fix is not simple. Only two options. One is to make the road wider or a resident only parking scheme. David Seaman wanted a copy of the letter we wrote to the Council. Sid was happy to provide this and the reply. Frustration expressed by participants with the delay. Was expecting a briefing from Cllr Burrows who was expected to attend (but unfortunately he couldn’t attend the meeting for personal reasons). Where works done, the area looks far better with the new pavements and the road improvements. We have seen Improvements with the Christmas lights this last festive period. Where pavements have been changed, have seen trucks driving on and vans on pavements. Mostly with Windmill Plumbing. Cllr Kauffman expressed disappointments that facilities like cigarette towers are not being used adding to litter. Bollards, bins, and trees are going to be added which will reduce on pavement parking. Looking at making improvements at the Bridge at South Ruislip. This will take time though as work involves three railway companies. Work planned includes cladding and more art being used. Proposals from SKLP. Martin Evans Architect. Tina Patel. Kanji Harrari and Ian Roberts transport and highway consultant for the SKLP project. Tina Patel gave an overview of the site and its place in the SKLP and the wider community as well as SKLP’s aspirations for the site. Their history was based on a commonwealth community who moved from India to W African and then to UK. Settled in UK and set up a community centre. Mostly made up of people 24 villages in India. The site is currently used by community for sports. The SKLP team want to open to wider community. The aim since 1972 has been to unite people and they are a registered charity. Work includes support for the elderly and a nursery, including language and community lessons. Sports clubs with local success. 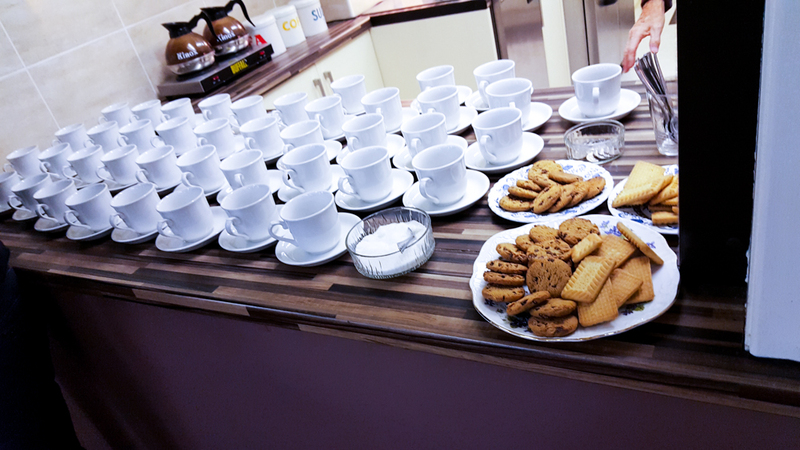 They are keen for local residents to participate. 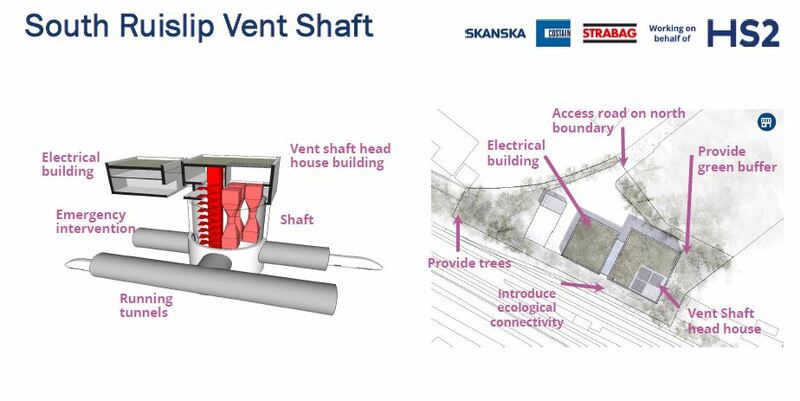 They are looking to consult on planning for a proposed redevelopment of the site demolishing the existing building and replacing with a modern purpose built air conditioned unit, which will house more people and reduce noise for local neighbours. Change in the balance in sports and community. The brief for the development is sports based. With back up facility that a sports facility will use. It will incorporate sports events. 12 badminton courts for example. Occasionally used for weddings in 5 hour slots. They have 1 big event a year, the Mela. Attract 7-8000 people per year. Then dancing 10 days. Most of the time the venue is a sports facility. The aim is to add a second cricket field, football, badminton, make the Gym more commercial. They intend on spending eight to ten months looking at demand. Carrying out work and assessments on Highways, parking, trees and landscaping. Mostly with Ealing council. Acoustics? Site is green belt so limited in action to be taken but the development will help. Will help contain noise. Extend awning out for an event. Will submit to planning and will go to committee stages. Sid said that we will oppose the expansion of the site. The facilities will attract more people. Road around suffers very badly at times of peak use and the residents locally especially in Harvey Road have suffered a blight of anti-social and nuisance behaviour from the site. Many of the complaints include parking in Harvey Road, blocking vehicle access and potentially impeding emergency vehicles. There has been parking on A40 slip road which is dangerous. Sid continued, the noise has been terrible disturbing residents for twenty years with a fundamental lack of engagement from SKLP and willingness to address residents of Harvey Road’s concerns. Although matters were much better in the last season the distrust is such that Sid said there was concern that this was just to help with the planning application this year. Although events cease at 11pm noise carries on far longer for residents when people leave. SKLP representative said that they are working to improve traffic management and they use parking at a local farm to mitigate the impact. The new building would dampen sound and has been designed to do this. Sid was concerned that this would have little impact when the doors are opened in the heat and the event is opened out to marques etc outside. One day Mela event. Once a year 6000-7000 a year attending. A couple of marquees go up now. 10am to 6pm. On a Sunday. The ten to twelve day event takes 1500 to 2000 people. Has to stop at 11pm. The building will accommodate the dance festival. Has a full surround of hay bales at the moment and these changes will have a positive impact. The dances take place. 8pm to 11am. Will take place inside the building. The marquees will cease to exist. People will be 500 to 1500 during the dance events. Need a traffic management plan. More discussion on the noise levels. 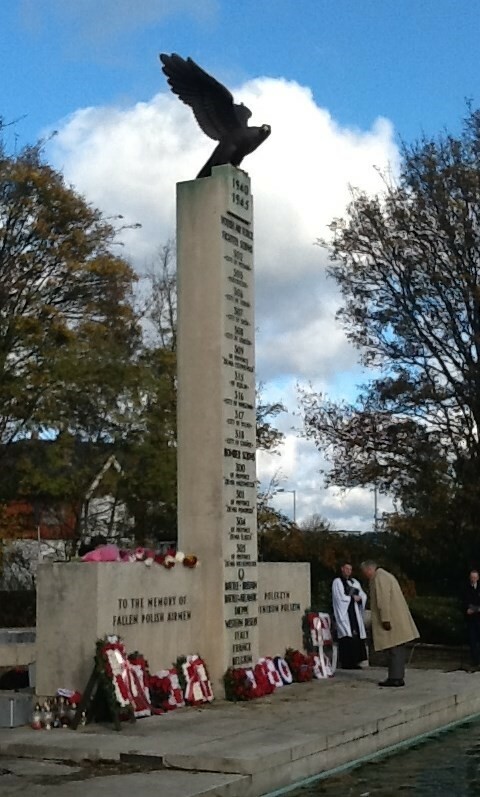 There was a good turnout again this year at the service at the Polish War Memorial. The SRRA was represented by our Vice Chair Sid Jackson attending. In the interest of ensuring a safe and fun day for all our friends and their families attending Norfest we are sorry to announce that public vehicles can no longer be admitted entry to RAF Northolt on Saturday 22 July. This decision has not been taken lightly and follows clear advice from the Metropolitan Police. We apologise sincerely for any difficulties this will cause those currently intending to arrive by private vehicle, but ask now that all public parking tickets holders use public transport or other means to travel to the event and enter on foot. In addition, all visitors will be requested to consent to enhanced security screening measures, including 100% bag searches. All visitors are therefore kindly encouraged to bring a minimum of personal belongings, including bags, picnics etc, in order to facilitate a smooth entry to the event. The event starts at 10.00am, but ticket holders will be now be admitted from 09.30am on account of these enhanced protection measures. Anyone attempting to access to the event with a public car pass will be refused entry. These decisions have been made in the interest of the security and protection of everyone attending Norfest, following the recent tragic events in Manchester and London and after full consultation with the Metropolitan Police. Those that have purchased car passes from See Tickets for the event will automatically receive full refundsThe offer to ‘Blue Badge’ holders remains and will still be able to enter RAF Northolt on the day in their vehicles and gain entry, provided they consent to full vehicle checks of their vehicles by security staff. ‘Blue Badge’ entry and security checks will now be via Crash Gate 3, at the end of Glebe Avenue, off the West End Road, between the A40 and the White House Gate entry to RAF Northolt; signs will be in place on the day to direct eligible traffic. The Project Officer for the event, Wing Commander Gaz Littlechild, said: “For Norfest our first objective has to be the security and protection of the public. To this end, we are putting in place a full range of security measures in consultation with and as advised by the Metropolitan Police. This includes the prevention of public vehicles from entering the event and personal search procedures. We sincerely regret any inconvenience that this causes but our first consideration is always everybody’s safety and I’m sure our local community will understand, in light of recent events, the reasons we are now required to take such measures. The whole team is working hard to ensure that this causes as little disruption as is feasible and put on a brilliant day for our friends in the local community. We would like to thank everyone for their patience, support and understanding in advance”. The nearest Underground station to the entry point is South Ruislip on the Central Line, or ‘Station Approach/South Ruislip Station’ on Bus Route E7. Look out for further updates by following the RAF Northolt Twitter and Facebook pages as they are confirmed, and through local media such as GetWestLondon. NORFEST takes place at RAF Northolt on Saturday 22 July 2017. The concept behind NORFEST is for RAF Northolt to host a day of entertainment for all the family and give something back to the local communities which support the Station. A very limited number of public tickets priced at £5 are still from See Tickets agency and can be purchased online or by phone. A whole host of entertainments and attractions for the whole family have been planned including a variety of children’s entertainments, a food court, a small static display of aircraft and the central Performance Arena. The Queen’s Colour Squadron, RAF Regiment; The Band of the RAF Regiment. The most recent confirmations include: BMX stunt bike group Savage Skills who will both perform and hold a workshop; local Cheerleader group The Babettes; Jay Kumar Bollywood Dancers; and children’s entertainer Epico the Dragon. A Dakota aircraft from the Royal Air Force’s Battle of Britain Memorial Flight will perform a flypast.